(12-LP + Booklet) Analogue Productions and Acoustic Sounds bring you all of The Doors' legendary albums &emdash; The untoppable self-titled 1967 debut The Doors, one of rock's most important debuts, Strange Days, Waiting For The Sun, The Soft Parade, Morrison Hotel, and the visceral L.A. Woman , all 45 RPM double LPs, in a box set. All remastered from the original sources by Doug Sax and The Doors original engineer Bruce Botnick. LPs pressed at 45 RPM by Quality Record Pressings. 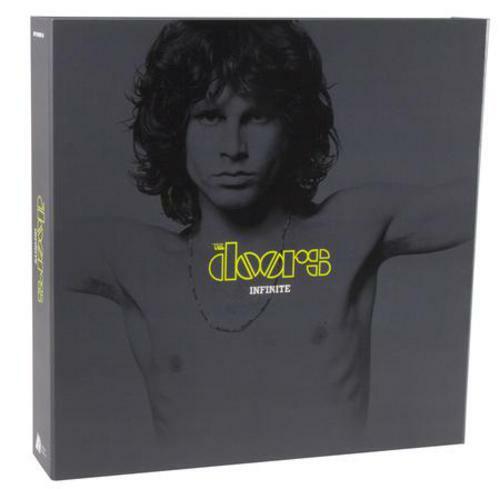 Booklet included featuring 19 photographs and a 2,700-word essay by The Doors biographer Ben Fong-Torres, esteemed rock journalist and former Rolling Stone editor. All packaged in a textured, slipcase box. Limited numbered edition of 2,500.